USPS Shipping for Etsy Sellers Easily print shipping labels for all mail classes. Etsy sellers can quickly and easily print USPS® shipping labels through the Stamps.com Etsy API integration. Once your Etsy account is connected to Stamps.com, the software will retrieve order data directly from your Etsy account, eliminating any need to copy and paste data. 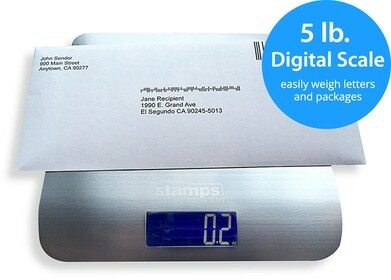 After a shipping label has been printed, Stamps.com will automatically post order details including USPS Tracking number, shipping date and mail class back to your Etsy account.